Reflecting on so-called "community arts" in preparation for teaching this Fall, i've been revisiting many texts about arts, creativity and activism. 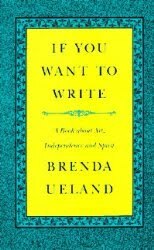 This book, If You Want To Write: A Book about Art, Independence and Spirit by Brenda Ueland was recommended to me over 20 years ago by a friend (thanks, Clara). It remains one of the most inspirational and useful texts i've read in my life. Over and over again Ueland makes the point that everyone is creative, that creativity is hardwired, as it were, into what it takes to be human. She puts it plainly and unequivocally in the first pages: "This is what I learned: that everyone is talented, original and has something important to say." The rest of the book, in one sense, is the persuasive case for this proposition. It is filled with practical advice and it is also one very extended and effective pep talk. 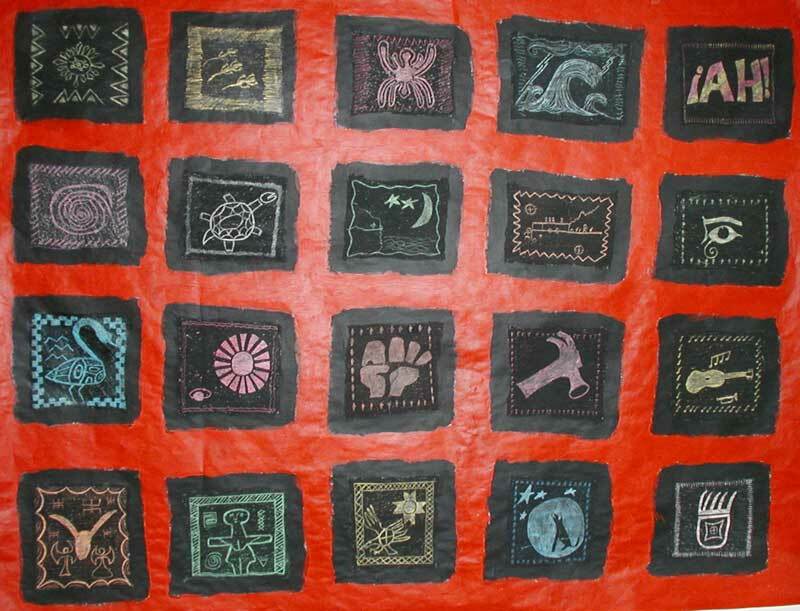 Ueland is very good at persuading you that you have it in you to write or create with whatever medium on which you set your hands and eyes and imagination. Strangely, having read this book, i did not think to hunt down other writing by Ueland. This is unlike me; characteristically i "discover" an author i like and then proceed to hunt down everything they ever wrote. As a teen this was almost exclusively science fiction and fantasy writers (Heinlein, Clarke, Asimov, Bradbury, Leinster, LeGuin), later it was politics, pedagogy and spirituality (Starhawk, Freire, Galeano, Alice Miller) and so on. I'm uncertain why i did not apply my usual readerly zeal to Ueland but perhaps it was because i knew it would be years before i had satisfactorily absorbed the lessons i had to learn from her words. And simply exercising my normal fanboy instincts would, ironically, be an act of avoidance. Re-reading Ueland's work after 20 years i can see that i have internalized many of her ideas so effectively that i cannot recall the moment (if there was such a thing) when i did this. And what i'm noticing is a profound similarity between her ideas and those of Paulo Freire, Augusto Boal, Alice Miller, Corita Kent and many others. These are ideas that have shaped my life. It is a strange thing about language or perhaps it's just our use of it that we talk about "writing" as though it were a thing apart from "reading" - first one, then the other. We do the same thing with "telling" (or "speaking") and "listening". I have long been persuaded about the power of listening and i am really excited to find this elegant and persuasive text. If this is what listening meant in our political, pedagogical, economic world, what then?